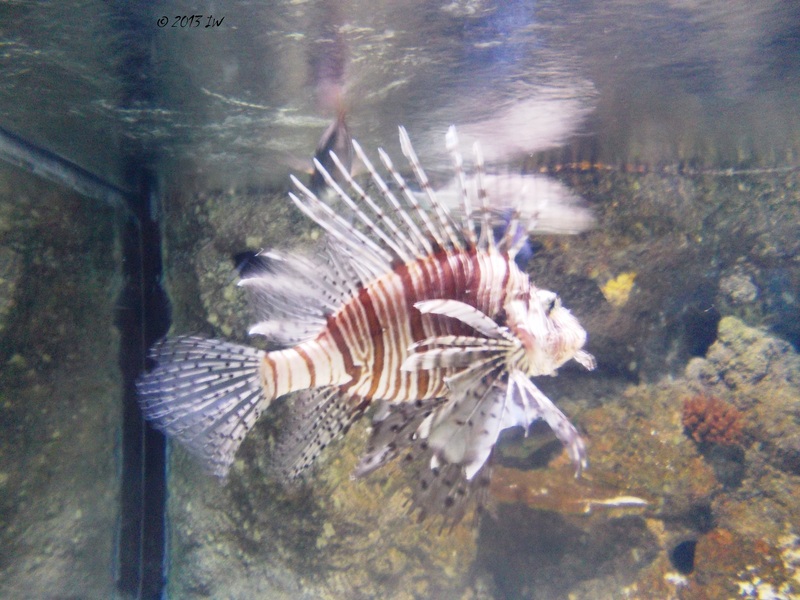 During my trips, I love to spend a lot of time visiting Zoos and natural science museums and Aquariums. I feel it relaxing and interesting and always an opportunity to learn new things. My latest love is the London Aquarium where I've been at least four times this year. There it is a similar place in Berlin that I visited in my first year in Berlin, but I rarely go in that area more than once the year. I do not like too much the neighbourhood. The big advantage of the London Aquarium is the great location, minutes or Tube stations away from London's big attractions. From the London Eye to the Big Ben, everything can be seen and if you look carefully, you would love the view as much as I do. 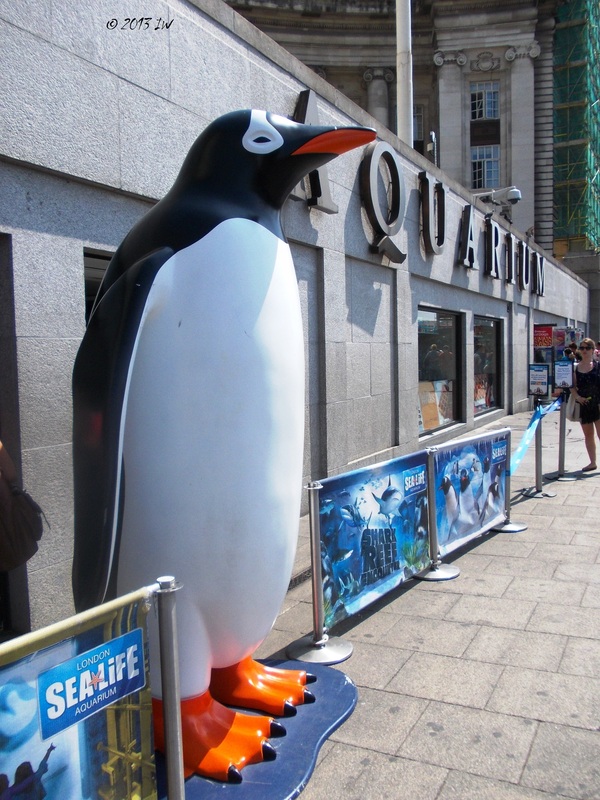 My usual schedule of a day at the London Aquarium is to try to be there around mid-day - especially during the summer expect some waiting time and a lot of tourists, but everything goes quite fast - spend there a couple of hours - I want to be in time for the penguins' feeding time, around 3pm. If I am lucky, I can get some special presentations, as it happened today, when I'd learned about sharks. After I have enough of observing the fish and taking pictures - without flash - of the lovely creatures, I usually stop at the Marriott for a cup of tea or a fresh juice and I continue my journey for the evening meal. Besides the interesting show of the nature, one will always have the feeling of being part of a global world, with lots of languages spoken by the tourists from all over the world. One of the reasons I like to go there very often is that it is always some piece of information I miss before. I love the way in which the short presentation texts are written, in a language easy enough to be understood by people without any science background. The price is relatively high, of around 20 pounds. There are many information for children and some special playgrounds, besides quite a bit of kitsch and touristy stuff. But one can ignore that and be pleased by the incredible colour combination of the fish or of the grace of the swimming sharks. There are life lessons that both children and adults will always enjoy. You can also watch The Jellyfish show on YouTube. I love aquariums! Haven't had the chance to visit London yet, but it sounds like an amazing place to see at least once if only to visit their science centers. (: 20 pounds is a bit high for me, but maybe they do deals from time to time; will have to keep an eye out for that! This one is very special...really worth the money and you can spend a whole afternoon there. I am sure there may be some deals on Groupon or there are some discounts once in a while.